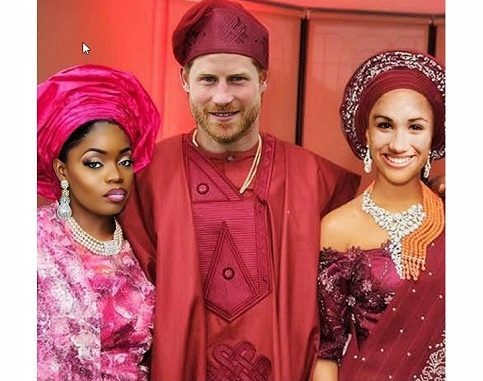 Bisola of Big Brother Naija has shared a very hilarious post in the lead up to Prince Harry and Meghan Markle’s wedding. Hello fam, as you know Megan and I are cousins “Megus megus” as we call her when it’s we we ? and yes I was present at the private Traditional wedding which ended 2hours ago ( she needs her beauty sleep against tomorrow). I only got one pic cos security was really tight please don’t share this with blogs else I’ll be in trouble.